The function of magnesium revolves primarily around its ability to activate many enzymes. It has a significant role to play in the production of energy and optimising muscle health. 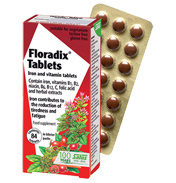 Floradix Magnesium is particularly beneficial for young people during periods of growth, pregnant and breastfeeding women as well as sportsmen and women. 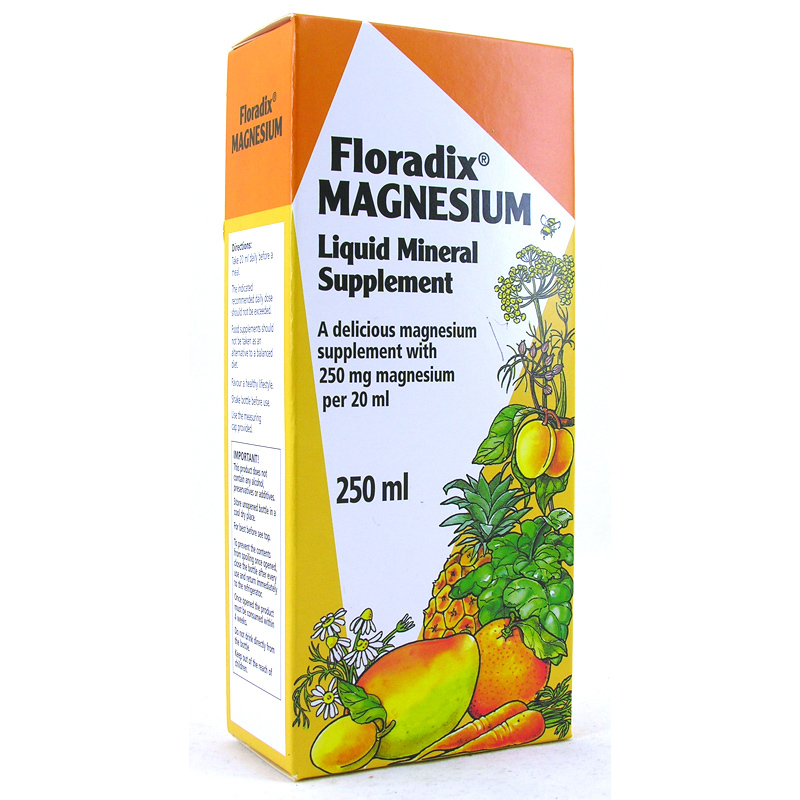 Magnesium is an important element that is required to maintain many of the body’s metabolic processes, muscle concentration, nerve function and energy metabolism. It is also involved in calcium deposition in the bones. Each daily serving of magnesium provides 250mg. 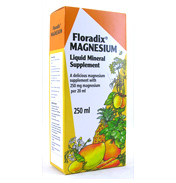 It is a pleasant tasting supplement to safeguard magnesium intake. Mixture of fruit juice concentrates (37%): Water, pineapple, pear juice concentrate, mango, apricot, grape fruit concentrate, carob extract, apple, lemon juice concentrate. Aqueous herbal extract (34%) from: Camomile Flowers, Fennel, Bitter orange peel, Carrots, Spinach. Magnesium Gluconate, Honey, Magnesium Citrate, Natural Flavours. Energy 844 kj (198 kcal) 169 kj (40 kcal), Protein Trace, Carbohydrate 38.8 g 7.4 g, Fat Trace The product is suitable for vegetarians. For prolonged use as food supplement take 1 measuring capful (20ml) daily before a meal. Children aged 6 to 12 yrs: half a measuring capful (10ml) daily.